For every special occasion like a wedding, the right stationery will help you communicate and share the special moment with your loved ones. 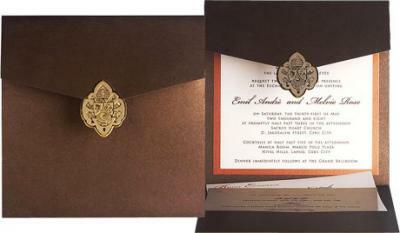 Wedding invitations are your friends' and family's first opportunity to participate in the special occasion. Beyond conveying the theme of the occasion, printed wedding invitation stationery also serves a more functional role by communicating important details of the occasion like the directions to the reception, where to stay and what to wear. Your invitation can be printed in more ways than you thought possible. Nowadays, different techniques can be incorporated into the printing of your invitation. Although some of these techniques can cost much more than others. It all depends on how you want your invitation to look and what your budget will allow. Aside from invitations, we also print thank you cards, stickers, call cards, tarpaulins, brochures and other printing needs.